Are the benefits of ON Demand all hype? With On Demand movies, a wonderful family night is effortlessly created. Beyond being more economical than going to the theatre, On Demand is the perfect alternative for families with children whose ages vary widely. 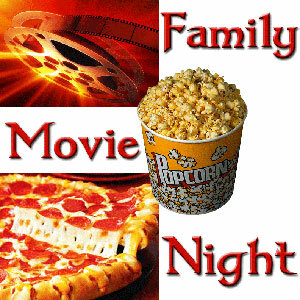 Infant bed and feeding times can be met without interruption for both their schedules as well as the family movie night. Popcorn, snacks, and soft drinks prepared at home are healthier and extremely less costly. Is your family on a tight budget? On Demand has a whole host of FREE movies as well. At the time of this post, over sixty movies were being offered for free. Is the usual programming getting boring? Perhaps you missed a favorite show. On Demand is home for thousands of shows and programs just waiting to be discovered. Networks ranging from ESPN, ABC family, and A&E to the Disney Channel and Nickelodeon offer shows and special programming that is accessible anytime. Whether it is kids’ shows, aerobics and fitness program, concerts, cooking shows, and numerous other specialty shows are available when you have time to watch. The On Demand home page programming list was excessively long, more than I could review! In addition to a fun and economical family night, the ability to watch hundreds of specialty programs at your convenience, Charter TV sends reminders when new movies are added to the programming via text or email. You will ‘Like’ their Facebook page as well. With all of those benefits, I can see why On Demand is the most popular feature at Charter TV, I’m just sayin’.